Advice and assistance when you need it. If you require advice and assistance with matrimonial or family issues we can provide you with the quality legal service that you deserve and more importantly we can give the confidence and comfort to see you through what can be a very difficult period. 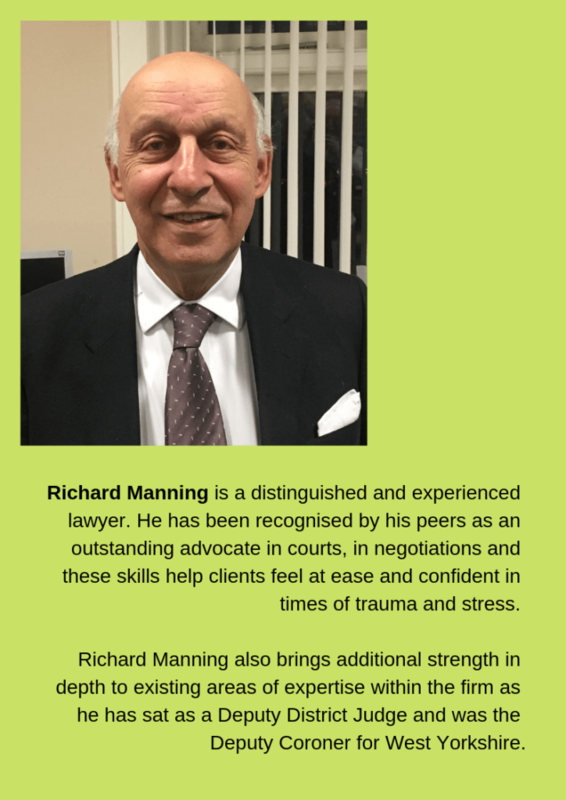 Richard Manning (consultant) heads up the Cohen Cramer matrimonial department and has many years of knowledge, expertise and experience. He is regarded as one of the best advocates in his field and he has a calm and reassuring presence when needed most. Every client that comes to see us about divorce or separation never expected to be in that situation and therefore it is often a very overwhelming and distressing time. When emotions are running high, it is essential to have clear and concise advice and the reassurance that you are in safe hands. Whether it is separation, marriage-breakdown, cohabitation or civil partnership and whether you are the one instigating the action or on the receiving end, we can help. We are here for you, to guide you through, protect your rights and to try to ensure the best possible outcome for you. Your case is unique to us and we will treat it that way. This area of law is extremely complex and constantly changes to reflect society’s ever-evolving ways, so it’s no surprise that our clients often come for their initial meeting confused. But that’s also why we have a team of specialist to stay ahead of the game and provide the best possible service for each and every one of our clients. While you’re not alone in this situation, as annual national statistic may show, your case is unique to us and we’ll treat it that way. We’ll first start the process by discussing the reasons for the separation as well as the details required to ensure we have a strong platform to state your case. We will, once we have all the required information, deal with the required forms and paperwork from start to finish allowing you to concentrate on building your new life. divorce – we can advise and then help with the preparation of the appropriate paperwork to enable a decree to be obtained. We will carry out all necessary enquiries to seek to achieve a fair and equitable financial settlement if necessary through the courts. cohabitation – even if you and your partner are not married each party may have rights and obligations once the relationship has ended. pre-nuptial agreement – not just for the super-rich, pre-nuptial agreements can be legally enforceable and can try to protect you if the marriage fails. cohabitation agreement – similar to a pre-nuptial agreement but for those who cohabit rather marry but, unless specifically stated as being such, are not legally binding. children – the most important aspect of any relationship. We will ensure that the children’s best interest is paramount and can act in relation to all hearings concerning children, with whom they should live and what time they should spend with each parent. We can also assist with grandparents’ rights. Making the first call is never easy but we can offer the expert advise and help that you need to make an informed decision as to your next step.